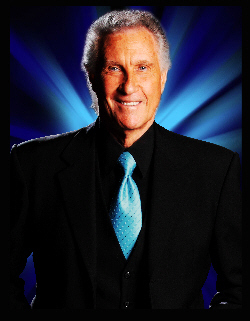 SANTA ANA, CA – December 5, 2011 – Grammy Award winner Bill Medley, Santa Ana High School alumnus ’58, of the Righteous Brothers duo will host a concert benefitting Santa Ana High School’s Dollars for Scholars Program on Thursday, December 15, 2011, beginning at 7:30 p.m. The event will be held at Santa Ana High School’s newly renovated Bill Medley Auditorium, located at 520 West Walnut Street, Santa Ana, CA 92701. Tickets are now on sale by reservation and will also be sold at the door on a first come, first-served basis. Advanced reservations can be made by calling Bobbie Rooker at (714) 542-7802. In the mid-1960s, the Righteous Brothers became a fixture on Top Forty radio with hits like “You’ve Lost That Lovin’ Feelin’,” “Just Once in My Life,” “Unchained Melody,” and “(You’re My) Soul and Inspiration,” creating an ultra- dramatic take on Sixties pop romance. In 1987, Medley scored a monumental hit with songstress Jennifer Warnes called “(I’ve Had) The Time of My Life,” for the film Dirty Dancing. The song earned an Oscar, a Golden Globe, Video of the Year, and a Grammy. In addition to Medley, his daughter McKenna Medley and Bob Gulley, backed by the Three Bottle Band, will also perform. Founded in 1889, Santa Ana High School is the oldest high school in Orange County. Students, staff, and alumni take great pride in its history and traditions. Today, Santa Ana High School is one of the most modern, up-to-date campuses in southern California, focusing on high school academic achievement and the arts. Its signature “Dollars for Scholars” fundraising chapter, an affiliate of Citizen Scholarship Foundation of America, Inc., is a nationally recognized non-profit students aid service organization. To make a contribution, contact Ms. Peggy Pierson at 714-567-4900. For more information, log on to www.sausd.us/sahs or www.billmedley.com.